Alcohol rehabilitation programs that provide individual counseling sessions for at least four hours a week are more effective than those which only offer group therapy, and many facilities don’t offer any additional tools and resources intended to help you after your recovery. Most alcohol abuse treatment programs fail because all of your contributing factors are not worked through and resolved. As long as you still have invisible wounds then your risk of a relapse is much higher. Without these tools and resources you may do fine in treatment, but once you leave and go back home you are much more likely to backslide into substance abuse again. An alcohol abuse treatment center that works is one which gives you everything that you need to work through your issues and eliminate them once and for all. Alcohol Abuse Treatment Programs: Which Methods Actually Work? 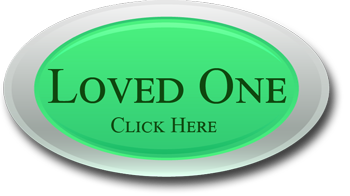 Finding the correct alcoholism treatment center doesn’t have to be difficult or take months. A common reaction is to choose the cheapest rehab facility found, but this is a mistake that can result in a waste of your hard earned money. A careful evaluation of the treatment methods offered will help you determine whether a specific facility can provide permanent recovery or not. To be highly effective and achieve successful results consistently alcohol abuse treatment programs have to charge higher prices, to cover the higher staff costs that are involved. An interesting fact points out that the higher your income is the more likely you are to drink on regular basis. The USA ranks #26 for the most alcohol consumption out of all the countries around the world. A detox period is needed in most cases, and this phase of alcohol addiction treatment should be closely monitored by medical professionals because of the risks involved. Alcohol addiction treatment is widely available in many countries, yet this treatment is often not successful. Alcohol rehab programs and the elimination of alcohol abuse in the United States alone could save around 50 billion dollars each year. Anyone who has used alcohol frequently and excessively must go through a detox, normally done with alcohol rehab treatment but might not be under certain circumstances. In rare circumstances detox might require hospitalization, because of extreme complications that are life-threatening and require a emergency treatment. In most cases, this is not necessary though, and the medical professionals at alcohol rehabilitation centers can handle any complications that might occur. Sometimes sedatives may be given to control withdrawal symptoms, and possibly drugs for nausea and vomiting if it is severe. An interesting alcoholism treatment statistics is that the relapse rate can be as high as 90% for some facilities an programs. Which means 9 out of 10 patients will typically relapse within the first 6 months after treatment. The alcoholism facts and statistics show that certain types of treatment methods are more effective than others, and will provide a longer recovery with a lower relapse risk. Individual counseling allows the individual to examine and resolve any root causes of alcohol use so that this habit is no longer needed. Individual counseling is essential for a full recovery that lasts, and the alcohol abuse facts verify this. Detoxification before going to an alcohol treatment center can last anywhere from a few days to a few weeks, depending on how much and how often you drink. To be effective an alcohol addiction treatment program should last at least 30 days, anything shorter than that can greatly increase the chance of a relapse after the treatment is finished and you go home. The type of facility and program have chosen will have a big impact on the success seen after treatment. The National Center on Addiction and Substance Abuse reports that an alcohol-related traffic accident happens every 30 minutes in the USA and that 14 million Americans have a drinking problem and could benefit from liquor treatment. What Treatments Do Alcohol Treatment Facilities Offer? Many of the treatments for alcoholism promise get help for their clients, but only deliver a quick fix instead of a permanent result. This is not the case with us here at Valiant Recovery, because we are an upscale facility which offers effective treatment for your alcohol addiction. Our pricing is higher and may not be possible on every budget, because our treatment costs are also much higher due to the number and types of professionals used within our programs. Our Rehab facilities and programs include both spiritual and individual counseling, as well as a broad range of other treatment methods including equine and art therapy just to name a few. Valiant Recovery is one of the top alcohol abuse treatment programs in the world, and this program is known for excellence and fantastic results. During your withdraw period, you will be monitored by caring professionals and kept as comfortable as possible in our elegant surroundings. Once you have completely dried out intensive counseling and other treatment components are started, to uncover and address all of the causes of your alcohol abuse and addiction. Many alcohol abuse treatment programs will only have limited options, but Valiant offers many additional classes and treatment methods to choose from. An interesting alcoholism treatment statistic is that one of the most common reasons for not seeking help is the excuse “I cannot afford treatment.” This excuse is used by around 40% of individuals who have an alcohol addiction. Almost 22% of rehab admissions are for alcohol addictions only. Approximately another 18% of the admissions to substance abuse programs will involve alcohol and at least one other substance that is being abused. High-end treatment centers that are more expensive may offer additional treatment methods. The alcoholism treatment statistics show that providing individual counseling several times each week can boost the permanent recovery and success rate. The reason that most alcohol abuse treatment centers do not give you a complete and full recovery is that the treatment plan used did not look at and address all of the components involved in your addiction. The reasons for alcohol use are many, and the alcohol addiction treatment plan should be formulated and customized after evaluating all of the factors involved in you your substance abuse. Some individuals may drink because of grief, while others drink to feel good, and still, others may be trying to avoid depression or an unhappy home life. If this step is not taken you may not succeed at staying sober. The most devastating and destructive part of Alcohol Addiction is the physical dependency on alcohol. The process of withdrawal is of primary concern in alcohol treatment programs. Withdrawal for someone who is alcohol dependent can be accompanied by seizures and even death. 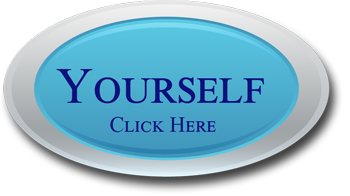 Medically supervised detoxification is the recommended approach to dependency and withdrawing. This can only be done at a qualified alcohol abuse treatment. There are medications that can be used to help reduce the effects and symptoms that a person may experience. After the ‘detox’ process the alcohol-dependent individuals should be enrolled in an alcohol rehab program, like the one at Valiant Recovery. It’s very crucial to keep an eye on the alcoholism signs in order to notice if there has been a regression in their treatment plan. You want a center that is spacious and luxurious, not cramped or run down, and this benefit is worth the extra cost involved. One consideration for any alcohol dependence treatment is the facility itself. You will also need to look at and evaluate the physical fitness options available because high-end alcohol recovery centers like Valiant Recovery offer a wide range of choices in this area. Saunas, whirlpools, swimming pools, a fully equipped gym, and other physical activities are available for use. This physical exertion will help speed up the recovery process and minimize the symptoms of the addiction during recovery. Most alcoholism centers use the same plan for every client, and this is never the case at Valiant Recovery. Deciding between alcohol recovery programs can be difficult because you want a treatment that is successful. As a professional, your alcohol abuse threatens your career, your social and financial status, your health, and even your life. You will receive in-depth one-on-one counseling combined with other treatment methods, something that is missing from most alcohol treatment centers. Group therapy is very important, but without individual counseling, your recovery is in jeopardy. This is also true if the spiritual factors of your addiction are ignored. 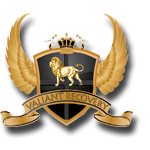 As a successful professional, you can afford the very best alcohol treatment possible, and that is what you will find at Valiant Recovery. You can not afford to pay less and risk your livelihood and reputation in the process. Excessive alcohol consumption in a short period, also known as binge drinking, is a sign that alcohol abuse is occurring, even though this alcohol abuse may not occur daily, IF you stash alcohol around your home or hide how much you have had to drink or how often you drink, these are both signs that alcohol treatment should be received. Many individuals do not believe that they need alcohol treatment and that their drinking is not a problem. If you can not control your alcohol use, and continue drinking even when you know this activity is devastating your life and destroying your family, then help and alcohol treatment is needed. To be highly successful any program will include a customized treatment plan. When you start to assess alcohol abuse treatment programs one of the most important things to consider is the success of the methods and techniques used. The setting and level of staffing will also help determine just how effective alcohol abuse treatment programs are because a rehab that is crowded or has a low amount of staff cannot provide the correct setting for a permanent recovery due to distractions and increased levels of stress. Each individual who has substance abuse issues will have different contributing factors, so alcohol abuse treatment programs that use a single treatment plan for every client is destined to fail. What Is Alcohol Treatment And Why Is It Necessary? Proper alcohol treatment will depend on the length of time drinking and the amount of alcohol abuse each day, any withdrawal symptoms experienced, and other relevant factors. The detoxification process for alcohol can be medically dangerous, and even hallucinations called delirium tremors are possible. If the withdrawal symptoms are severe then sedatives and tranquilizers may be needed to slow down the heart rate and stop hallucinations. Alcohol treatment options should be supervised by medical professionals and can include medications, medical testing, observation, and rehabilitation. Addiction treatment facilities should also include the necessary medical tests to determine if alcohol abuse has caused any other medical problems, such as liver damage or stomach ulcers.